The one skincare product that never fails to get my attention is sunscreen. 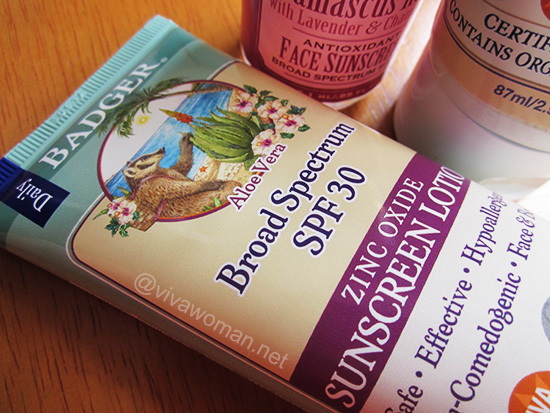 So when I learned in January that Badger was introducing their Badger Aloe Vera SPF30 Zinc Oxide Sunscreen Lotion with a similar texture to their Badger Balm Damascus Rose Antioxidant Face Sunscreen SPF 16, I was super excited! I went into a bit of a frenzy to hunt it down almost immediately. However, it took some time after the news broke out for the product to be ready but when it was finally available, the tubes got snapped up instantly. I had to wait like a month or so before getting my hands on it. The wait was a little agonizing but yippee, finally the sunscreen is mine! Okay, Badger already has some SPF30 sunscreens but if you know Badger, their sunscreens are greasy, thick and leaves a whitecast. The company started introducing a series of sunscreens with better texture and their SPF16 sunscreen was very popular. However, the SPF was really low and I would only recommend it to be used indoors. So it was a godsend when the company decided to introduce this easy-to-apply, non-greasy zinc oxide sunscreen lotion with SPF30 perfect for everyday use on your face and body. Finally, a non-gooey sunscreen that doesn’t make one look ghastly! I’ve always like Badger. I remember one of the retailers of the products here telling me that it is one of the better natural brands. And I think so. I like their choices of ingredients and I just feel safe using their products. However, I am a little iffy about this one because the zinc oxide is only 12%. *Aloe Barbadensis (Aloe) Juice, *Helianthus Annuus (Sunflower) Oil, Carthamus Tinctorius (Safflower) Oleosomes, *Sucrose Cocoate (from Coconut), Water, Microcrystalline Cellulose, Citric Acid (from Non-GMO Corn), Leuconostoc Ferment Filtrate (from Radish), *Glycerin (from Sustainable Palm), *Aloe Barbadensis (Aloe) Extract, Tocopherol (Sunflower Vitamin E), Gluconolactone (from Non-GMO Corn), Xanthan Gum, *Lecithin (from Soybean), Cellulose Gum. I know the formulation has been tested to provide SPF30 but I really wish the zinc oxide content to be higher at 16% or more. It’s just something I read about zinc oxide and my personal comfort level. However, reviews for this product have been good. I recall one reviewer stating that this sunscreen prevented sunburn for her so that must count for some good protection. This Badger Aloe Vera SPF30 Zinc Oxide Sunscreen Lotion is really for daily use, suitable for casual sun protection. It is not water resistant and hence, not a heavy duty sunscreen for outdoor usage. In terms of texture, it is runnier than the Badger Balm Damascus Rose Antioxidant Face Sunscreen SPF 16 and much thinner and lighter than the Badger Broad Spectrum Sunscreen SPF34. It is non-greasy and does not leave a whitecast upon application. In fact, it looks matt and a tad dry when applied on the skin. I am able to use this sunscreen on my face and neck without any issues. No oily residue and no unsightly whitecast! I also apply it on my arms. If you like the SPF16 version, you should like this too. Although this lotion is a breeze to apply, I do find the SPF16 version a bit faster to put on without leaving white streaks on my skin. With the Badger Aloe Vera SPF30 Zinc Oxide Sunscreen Lotion, I spend a wee bit more time blending in the lotion. Having tried the three sunscreens, this is definitely my favorite on account of the higher SPF. 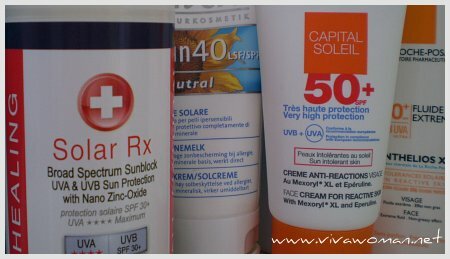 Although the SPF16 is easy to wear, I don’t have peace of mind using it. Hence, I kept it to my neck and arms only. As for the SPF34 formula, that’s really something I wear when I head out for the sun and water play. While I’m slightly leery of the low zinc oxide content, I don’t mind using this on days when it’s cloudy or when I’m spending more time indoors. It doesn’t dry out my skin and doesn’t cause my skin to become tight or oily after a couple of hours. Oh, and it smells pretty normal to me too. 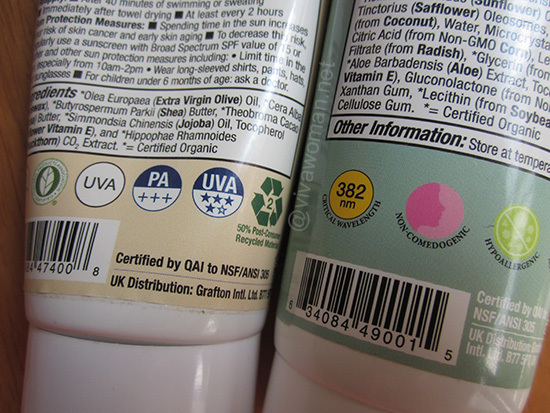 The 118ml tube cost just slightly over US$16 at iHerb (search under ‘Badger Sunscreen’). That price is a steal if you ask me! However, it’s always out of stock. Hence, I highly recommend you to sign up for the alert so as to be notified when the new stocks arrive. That way, you have a higher chance of getting the product. For those in Singapore, you’ll probably have to wait awhile before you can find this available here. If you want it sooner, grab it from iHerb! I’ll definitely be repurchasing this one. Somehow I think it’s way better than the DeVita Solar Body Block SPF30+ even though the latter comes with a higher zinc oxide content. The price is also slightly better. You’re right about the antioxidant face sunscreen — love, love the texture but how i wished the spf was higher. Hope this spf 30 version will be as suitable for me. Eco Beauty last post is: Review: Is Jurlique’s Purely White Skin Brightening Mist better for older skin? I tried this a few months ago and I didn’t like that it leaves streak marks when dried and leaves a noticeable white cast. I have since found my perfect zinc sunscreen, it’s the Kabana sunscreen tinted in the shade Neutral with 25% zinc and it blends it perfectly with my fair medium Asian skin and no white cast due to the tint. A pity it didn’t work for you. I thought it’s quite nice. Please elaborate why you think this sunscreen is better than DeVita Solar Body Block SPF30. It’s more of a trust issue. I feel that Badger has better protection because it takes awhile to blend in. Could be because your skin is drier and zinc oxide dries out skin more. Anyway this does not come with high zinc oxide content. An alternative to zinc oxide, if it causes breakouts, is a titanium-based sunscreen. In terms of mineral sunscreens or physical sunblock, zinc oxide is the best. Titanium Dioxide only offers partial UVA protection and is not a good alternative. me too, I always get excited about sunscreen, especially the all physical, natural ones. I heard Badger reformulate their sunscreen. So the old one you have would be sport sunscreen, and the daily one like this would be sunscreen lotion. Did you try to wear makeup on top of this sunscreen? I’m using the Devita solar right now, and the new formulate balls up and turn flaky when I rub it in, especially when I try to put a bb cream on top of it. So I was thinking this would be a good alternative. And (if you have try burnout ecosensitive sunscreen), how would u describe this compare to that? I’m so sorry for asking so much questions. But I always trust your review, so i thought you would be best to ask. Yes, I did use makeup over this and it works well for me. For Devita, it’s okay for me too. I use oil beneath though and it helps. If I just apply them neat on the skin, they can be a tad drying. Not tried the sunscreen you mentioned…first time coming across it too. the burnout eco sensitive sunscreen is one of the more popular zinc oxide only sunscreen here in the states among the natural sunscreen crowd. it’s probably more famous than badger and as famous as devita before the formulation change. Hi Sesame, i was wondering what percentage of zinc oxide do u deem sufficient? I’ll go for 20%. I’ll have a look at the sunscreen you’ve mentioned when I get the time. Give it a try…it’s very affordable. Only thing it’s a hot item now and so stocks are limited. I’m still using Aloe products. I heard many times about Broad Spectrum Sunscreen from my friend Milly. She hot good results good results using this. Thanks a lot for your review. Your reviews are always so nice. I enjoy reading them. I think this is my next sunscreen purchase. Currently, I am still using Devita’s Face Sunscreen, which I really like although it is a little but drying. Then, I also love MyChelle Unscented Sun Shield SPF 28 Sunscreen. And recently I discovered EltaMD SPF 41 Sunscreen. It is not the cleanest sunscreen regarding chemical substances, it is slightly tinted, but this sunscreen is so good!!! I really love it, and I use it instead of foundation/tinted moisturizer/BB cream. My newest addiction regarding sunscreens. Thanks for the review! I agree the zinc oxide % on this is too low for me to consider it. May I ask what your every day sunscreen is? Thanks! I use Marie Veronique Organic’s Moisturizing Facescreen SPF30. I got the daily aloe vera in spf 30 too for this years summer. Alaskan summers can be really harsh on the skin, strong winds and sun really strips the skin. Sun rises at 3am and sets at 10pm. I wear that when I go out fishing and I reapply it every 2 hours. Just slobber it on my face and the white cast fades away. Sometimes I wear it under my MVO sunscreen. I order them direct from the badger website. They do free shipping for US orders and they always include a free gift. I got a full sized after-sun balm. I tried applying both of them, one on top of the other but it’s a bit drying for my skin. 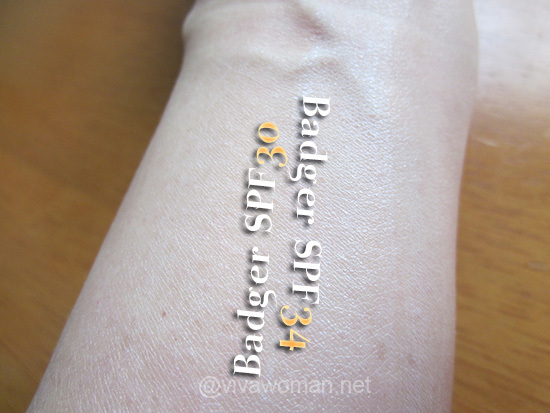 May I know where you got this Badger sunscreen from? I’ve been searching to no avail! iherb doesnt seem to carry the SPF 30 version anymore. I got it from iHerb. Think it’s out of stock for now. Aloe vera is great stuff. Not only is it good for your skin, but drinking a small amount of FLP aloe vera gel each day can help maintain a good balance of probiotics (good bacteria) in the intestinal tract. I wouldn’t suggest trying to use it to cure or treat any disease or symptoms of any disease though. If you think you have a disease, you should consult a qualified medical doctor. Except for the fact that some people are severely allergic to it. I’m currently using this and I love it. Iherb is no longer selling, not sure where can I purchase it. I’m not sure if it’s just temporarily out of stock. May need to write to iHerb to check. I just bought mine at the LuckyVitamin website. I emailed because I couldn’t believe it was in stock but it is. They say they cannot guarantee the expiration date but since it’s old stock I think it all has the same date. I risked it & the 1 I just purchased expires march 2015. 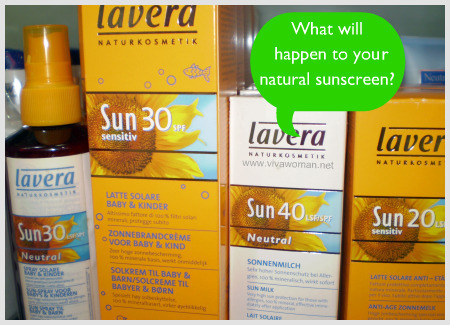 A good natural sunscreen is MVO Everyday Coverage which is available in tinted shades. But the downside is, it’s a lot more expensive than Badger’s. Another product to try is Andalou Naturals which comes at a reasonable price. I understand they have a tinted version but I don’t know if the color works. After reading your great review, I started researching online for the Badger Aloe Vera Sunscreen and could not find it anywhere. Have they discontinued it? I looked into all the websites listed in the comments section where other people have found it, but they are no longer selling it and I’ve come across dead ends. Please let me know if you know any stores or online sites that still sell this. Thanks! I’m not sure either. It’s very strange. The best is to write to Badger to ask. SERIOUSLY, man! 12% zinc oxide is QUITE (NOT a low amount! Where did you get that idea?) a decent amount for protection, especially since it’s not nano! COOLA’s natural, cucumber scented, non-nano, completely mineral, SPF 30 face sunscreen contains 3.2 percent titanium dioxide and 1.8 zinc oxide, and according to Enviromental Working Group’s Sunscreen Guide (The also have databases for other things like ratings for makeup toxicity) that sunscreen scores MODERATE for UVA protection, and MODERATE for UVA protection in relation to the SPF! 12 percent is actually quite sufficient. I can understand, though, that having “like” 20% zinc oxide makes you feel extra protected because it seems a lot more than 12. Totally on the same boat as you when it comes to that! Also, I should add; moderate UVA protection is probably like equal to a PA value of 3 *** out of 5. I’m not exactly sure about the PA rating completely, though. Especially since zinc oxide and (almost) titanium dioxide are broad spectrum! I understand that the percentage of zinc oxide in a sunscreen depends on the formulation. If it’s on its own, 12% is low. 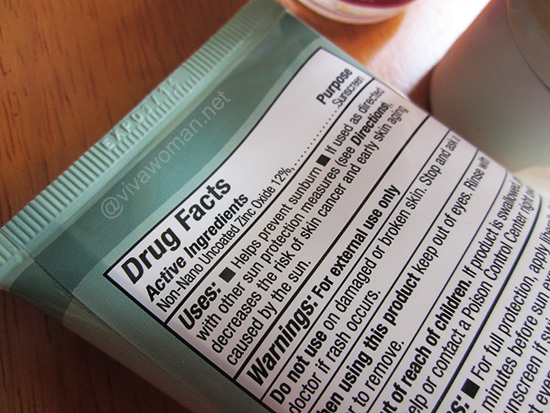 Apparently, we can’t compare that to a formulation containing titanium dioxide. This is information I’ve gleaned from a manufacturer of sunscreen. Does it provide good sun protection? 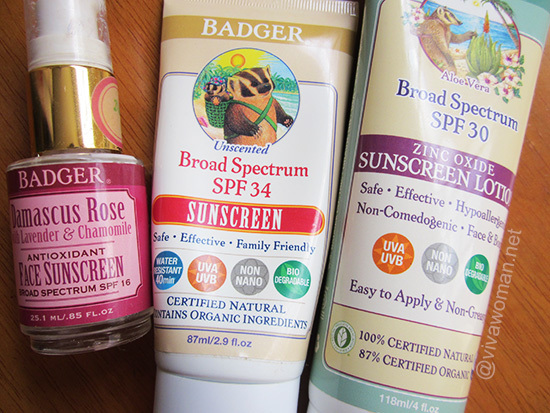 Unfortunately Badger discontinued this item :(…as I read on iHerb. Have you got something similar to it? I’m searching a light formula. Maybe another badger product? They have an SPF 25 formula. That or try derma-e’s SPF30.